Did ➡  that July 1⃣7⃣ is  Emoji Day? It seems like a strange event to celebrate, but the creators believe that we use them every day, so it is worthy of an annual celebration. In fact, they chose this particular date because it is what originally appeared on the calendar emoji  symbolizing the date that iCal for Macs was first announced. 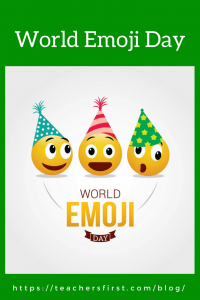 Wikipedia defines emojis as ideograms and smileys  used in electronic messages and web pages. The use of emojis began in Japan in 1999 as a feature included on mobile phones. 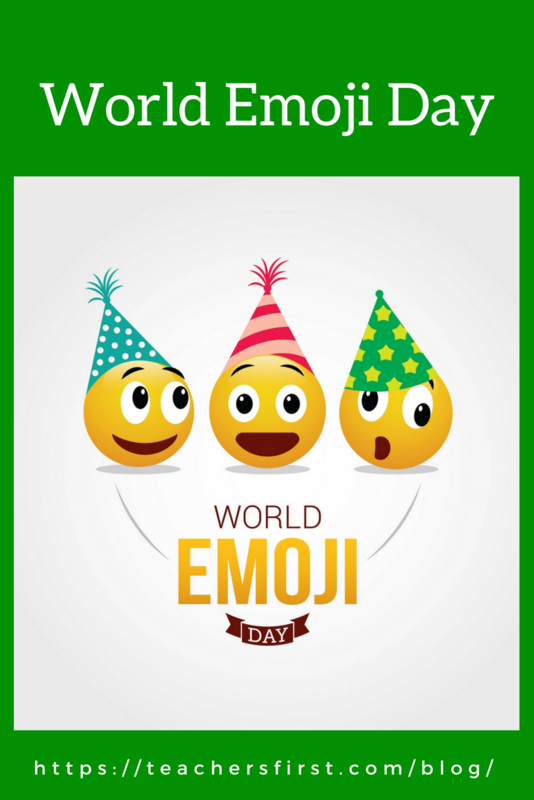 In 2010 emojis were included on worldwide operating systems and their popularity continues to soar . Depending on where and how emojis are used, some people believe the use of emojis makes you seem incompetent 浪 while others think using emojis helps us communicate feelings more clearly and convey sentiment without having to choose specific words . No matter how you feel , students use emojis every day in their conversations with others and are very familiar with communicating this way. If you need a quick lesson on the meaning of individual emojis, try searching Emojipedia to learn what different emojis mean and to find the latest news and discussions centered around emojis. A quick Google search  finds many different ideas for incorporating emojis into classroom lessons in all different subjects. When used correctly, these ideas allow us to include current culture in any lesson and appeal to student interest. Bill Nye, the Science Guy, has a YouTube explanation of evolution using emojis. Find other videos at EmojiScience including How You Dream and emoji brain teasers. Create your own emoji with Bitmoji (reviewed here) – have students create and use Bitmojis to share reactions to literature, science experiments, and with any written response. If you aren’t familiar with how to create BookSnaps using Bitmojis and the SnapChat app, learn more about it here. BookSnaps is a creative method to connect with the text personally. Made With Code Emoji Maker (reviewed here) – this Google tool allows users to create their own emojis. Follow the step by step directions to personalize and create your own emoji.